Equatorial Guinea will “protect” former Gambian President Yahya Jammeh, who went into exile a year ago in the country after having to leave power in the Gambia, said Equatorial Guinean President Teodoro Obiang Nguema, ensuring “to be in agreement “on this point with the African Union (AU). Obiang Nguema was speaking Friday night on national television, following a visit to Malabo by AU Chairman-in-Office, President Guinean Alpha Condé. “I believe that the position of protecting the former heads of state is a correct position, and I congratulate Alpha Condé who suggested to me that he would not accept any request for the extradition of Yahya Jammeh. will not accept it, “said President Obiang Nguema. “We fully agree that it is necessary to protect Yahya Jammeh, he must be respected as a former head of state in Africa, because it is a guarantee that the other heads of state who must leave power should do not be afraid of the harassment they may suffer after, “he said. This statement provoked anger in Banjul, where the victims of the fierce crackdown by the Jammeh regime put in place a judicial procedure against him. “We have the duty to intensify the pressure on President Obiang of Equatorial Guinea to ensure that Jammeh and his accomplices will finally be brought to justice,” he told AFP. “It’s not up to dictators to decide whether their colleagues should be judged or not,” he added. In January 2017, Gambian President Yahya Jammeh was forced into exile after more than 22 years at the head of this Anglophone country in West Africa and after six weeks of contesting his defeat in the presidential election. December 2016 against Adama Barrow. Under the threat of military intervention from West African countries, and after several regional mediations, including a final Guinean-Mauritanian initiative, he had consented to leave power and found refuge in Equatorial Guinea. 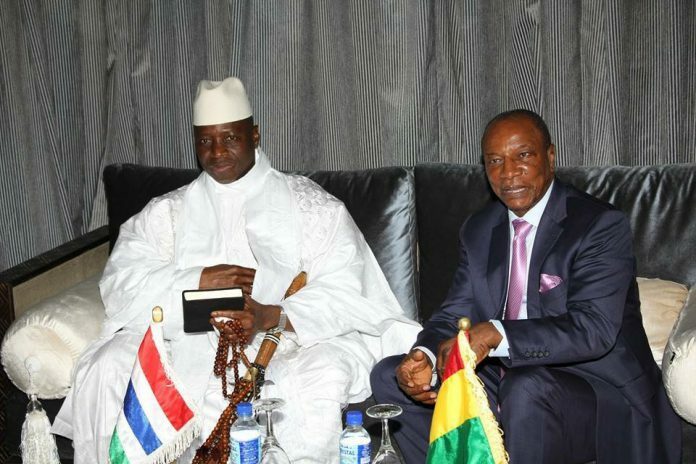 One year after his departure, however, political stability remains fragile in the Gambia, in particular because of the persistent influence of former military leaders of the Jammeh regime.